Amartya Sen, in his book ‘The Argumentative Indian’ was spot on when he wrote about the Indian penchant for debates, discussion and intellectual pluralism. The chatting gene is hardwired in our DNA. We love to chat. Simple! The new mobile application,We Chat, provides a platform to communicate via voice messages, texts and images. Since the download is free and works on multiple platforms, I was able to chat with five celebrities featuring on the new Indian Edition of Power List 2014. Navjoke Singh Sidhu: Why Sidhu? Well, for the sheer fun of his verbal acrobatics. Have you seen anyone so tickled by his own jokes? With a surfeit of opinions, he is like a vending machine for quotes and proverbs. And you don’t even have to insert a coin. hands of a man of wit. I was always good. Soon after my birth I told the nurse, 'That’s the last time I am going up there'," laughs Sidhu. "Hehohahaha." I quit. But Sidhu continues to shake his Android phone to look for other chat partners. 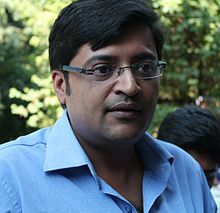 Arnab Goswami: Being the judge, jury, executioner, petitioner, defendant and the final arbitrator of all that is right, Arnab is the most powerful media celebrity. Night after night, he hyperventilates to purge the nation from its miseries. Why? Because the nation wants to know! “With her, I am as aggressive as A.K. Hangal of Sholay,” says Arnab sheepishly. Mallika Sherawat: The self-proclaimed international star toppled Katrina to become the most powerful actress. I am not sure about her acting talent but our Haryanavi girl sure has guts. A chat with Mallika enlightened me on issues of women empowerment and career management. Here is a glimpse. “What’s with your twang Mallika? The accent, I mean,” I ask her. I send her a video. "Nonsense. I used to speak the same way as a kid in Rohtak. I was this little girl who kind of spoke hurr mind, gave hurr opinions and smooched all the cows in hurr cowshed,” says Mallika. Sanjay Jhaa: Cometh the hour, cometh the man. His gold winning performance in defending the indefensible has helped him earn a place among the most powerful in politics. He straddles the political and the virtual world with amazing smugness. Impressed with his ability to handle the media, I chatted with the indignant loyalist who has become the most powerful politician in 2014. EN Srinivasan: Confronted with adversity, Mr Srinivasan stood ground like a mountain in a snow storm. Imagine molesting morality, crushing outrage and becoming the most powerful Indian businessman? His cement company contributed to Bharat Nirman and he toppled Mukesh Ambani to emerge as the most powerful businessman in 2014. My Android phone connected instantly with his iOS via Facebook. “I am not hounding you. In fact I want to invite you for a Group Chat to learn from your survival strategy,” I plead. “I’m busy. I’ll record my message and release it to send later,” says Srinivasan and walks away. I invited the above five for a Group Chat and we discussed all about being rich, famous and powerful. Me: Guys, congratulations. How does it feel to be on the Power List, 2014? Sidhu (laughs uncontrollably): Guru, someone has rightly said that being powerful is like being a lady. If you have to tell people that you are, you aren’t. Mallika: Huh? I dhon’t agree. Unless you tell people, how will they know? It’s all about shouting and announcing. I was the first woman to wear a bikini, you know. And I am in LA right now. 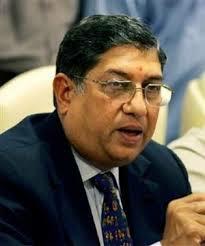 Srinivasan (angrily): What rubbish! Who is she? Power is not governed by what others think of you. I think therefore I am. Arnab (agitated): Mr. Jha? I heard you manipulated your way on this list. Is it true? I demand an answer. Sanjay (smiles): Have you tried it on the rocks Arnab? Power is like a peg which encourages notions of divinity. It is worth all the sucking up. I don’t care much for fame. Fame brings scrutiny. And money? Well as far as I know, power and money go hand in hand. Arnab (getting all worked up): No. No. No. Please be specific. Times Now has proof that you manipulated your way on this list, Mr Jha. The nation wants to know. 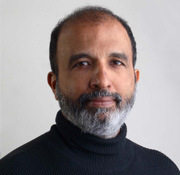 Sanjay (confidently): So what? Srini did it too. Srinivasaan (calls his lawyer): Dude, I am going to sue you. And Sidhu, you come and see me in the office. Sidhu quits and leaves for Chennai immediately . Me: Chill guys. Tell me, if you had to pick between wealth, power and fame, which one would you go for and why? Srinivasan: Power without accountability any day. Arnab: What about responsibility Mr. Srinivasan? The universe demands an answer. Srinivasan: I make my own rules Mr. Goswami. Mallika (flutters eyelashes and squeals): He bets? Really? I'll go for him. Sanjay (confused): Who is this girl? I have seen her somewhere. Me: She is on your Facebook cover Mr Jha. Arnab, what about you ? Power, wealth or money? Arnab: As long as I get to expose, all three will come to me. Srinivasan quits. Sanjay saves the picture on his latest Samsung. Arnab: What about you Alka? Me: You know what? Suddenly, I feel strange contentment in being penniless, anonymous and powerless. Enjoyed those telling conversations. And using the video feature of Mallika was a nice touch - such subtle and delicate self promotion. Thanks KayEm. She is a great entertainer. If only our Honourable President were not what he is, he would have been part of every single sattire. He was so funny while he was FM, wasn't he? Thoroughly enjoyed the post Ma'm. Glad you liked it. Oh yes, I know the Dilip Kumar style Hurr. Hilarious and thought provoking at the same time. Sure, will do. Thanks Afshan. lol! good one!! Best wishes for the contest! You are a sweetheart. Yes dear I did insert the link in the second para. Will read your post now. Nice fun post! Loved the end thought as well. All the best :). Well written...interesting and controversial 5 chosen by you..
My best wishes for the contest....!!! That was a really enjoyable post - and good choice of characters. Bloody awesome! There is a reason why these morons exist in our lives, and your post just made it amply clear. It's all about entertainment, entertainment, entertainment! Fantastic post. I hope you win the contest - all the best! Rickie, they are not morons. They are news makers and its all good news and journalism. 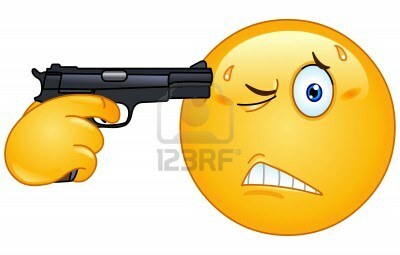 After all, would you watch 2 straight hours of analytical news on Indo-Pak-China relationship :D? Rickie, your comment means a lot. Thanks. 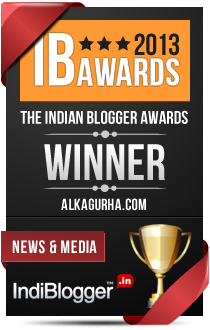 Sriram, thank you for visiting my blog. Justice Ornob has to take it easy or he might have a heart attack one day on the sets!! Brendan, your visit here, I guess. Loved your home-brewed Siddhuisms here in the post! Being powerful is like being a lady....is by Margret Thatcher. I used them just the way Sidhu does. loved that.. it was awesome..
one of the finest post from you..
Gappein sun ne ka maza kuch or hi hai !! Thanks Jyoti. Means a lot. WOW!!! I had fun reading this 'private' chat, as much as you've enjoyed penning this down:) Liked the Siddhuisms and the choice of celebs for this entry...you better win now! Thank you Vinaya. I really worked hard on this one. My god ! Hilarious ! You have to win this one ! Thanks dear. I don't know about winning but I really enjoyed imagining and writing this post. This was brilliant. Rooting for your win, Ms Gurha! The topic was interesting, hence this post. Thanks Purba. Had fun reading through the post. Good luck with the contest! As we have said in the post, its impossible for us to go against the management openly as it will cost our jobs. We are not permanent employees. We are just on contract. They can just let us go today if they want. And most of us being only 'employed ones' from our family, we cannot afford to lose our jobs. So as we said an open protest is difficult even if legally. Its ridiculous that a central govt org is doing this. Yes, they are and have been doing this sort of things as ths org is not that much in public domain. Most of the public dont even know such an org exists. So thats why we are seeking public help to spread awareness of things happening. Once its in the public they will feel threatened. And as we cannot possibly bring this out in the public [as it will cost our jobs] we ask for social media help. Thanks again. This reminds me that I haven't watched Arnab's show for a long time! Then you are missing something. With elections next year, it is the best reality show on TV. My rough draft included Paulo Coelho, Deepak Chopra, Dalai Lama, Robin Sharma and Stephen Hawking in a philosophical discussion. Glad you liked it Seher. Love your name! Enjoyed your chat with all these famous people. You are too hilarious. You brightened up my dull day and I am sure other people's too. Btw..you can share that post of mine on Grammarly. Its a great online proof reading tool. Try it once. I tried it Rachna and it is very useful. What a collection of characters, Alka! You brought them all together beautifully. Thank you for reading Corinne. Totally hilarious! Loved the Intro part of Siddhu and the chat part!